For this mani I used the handy #nailvinyls that I received to review from @ursugar_official (product ID 39877). 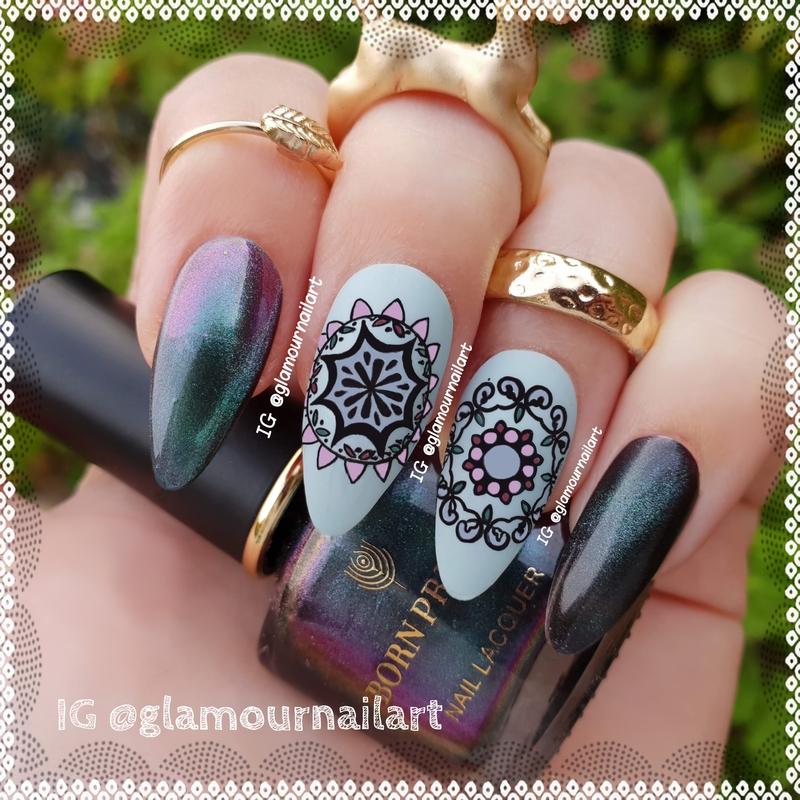 This decals are very easy to work with because they’re very adhesive, polish isn’t dripping under the nailvinyl so it gives a perfect pattern on your nails 👍🖤 Make sure your colored base is completely dry otherwise you might pull of the base to when you pull of the nailvinyl. The polish is smooth to apply and dries up with a slightly matte effect.